Being a parent can be a wonderful experience, but it is important to keep up with their safety, especially in the car. 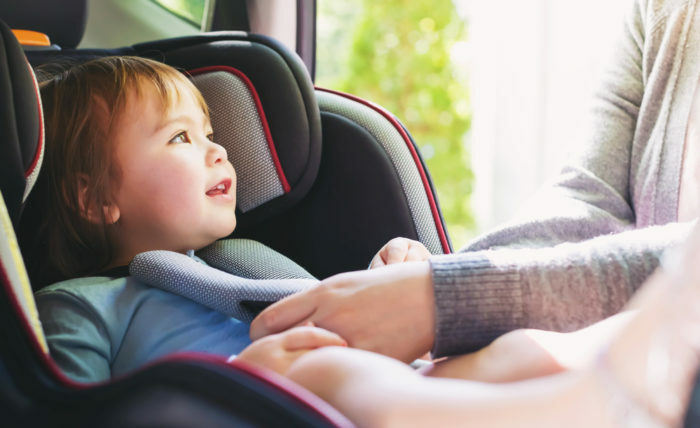 Making sure they have adequate seating can truly save their life if a car accident does ever happen, so making sure the car seat is properly installed is extremely important. Using these tips could save your child’s life if you are to ever get into an accident with them in the car. Before going to install the seat, make sure to fully read the instructions. Every car seat is slightly different, and will require different steps to correctly install the seat. Also, make sure the child is within the recommended height and weight for the seat, as those numbers are there for a reason. If your child exceeds or isn’t of the right height and weight for the seat, it is recommended that you find a different car seat for the child. Typically, kids aged 0-4 should be facing the rear of the car when riding. Children aged 0-1 should be using an infant rear-facing car seat, while kids aged 1-3 should be using a child rear-facing car seat. Again, using the instruction packet that comes along with it will help to ensure a safe installation. Most new cars have anchors for the car seats to be held to, but if you have an older car, you may need to use a seat belt. Kids who have either outgrown the rear-facing seats, or kids who are older than 4, should be using a front facing car seat. These are typically a little easier to install, but the instructions should still be used to ensure they are as safe as possible. They usually use a tether strap system, which is much safer than a seat belt for younger kids. If you or your children have been injured in a car accident due to the negligence of another, it is important to find an attorney who is experienced in the field. Contact a personal injury lawyer today to schedule a consultation.